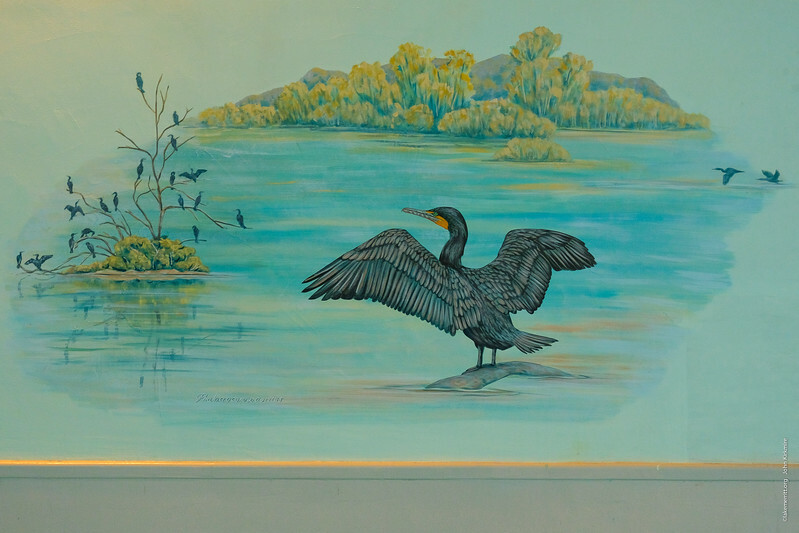 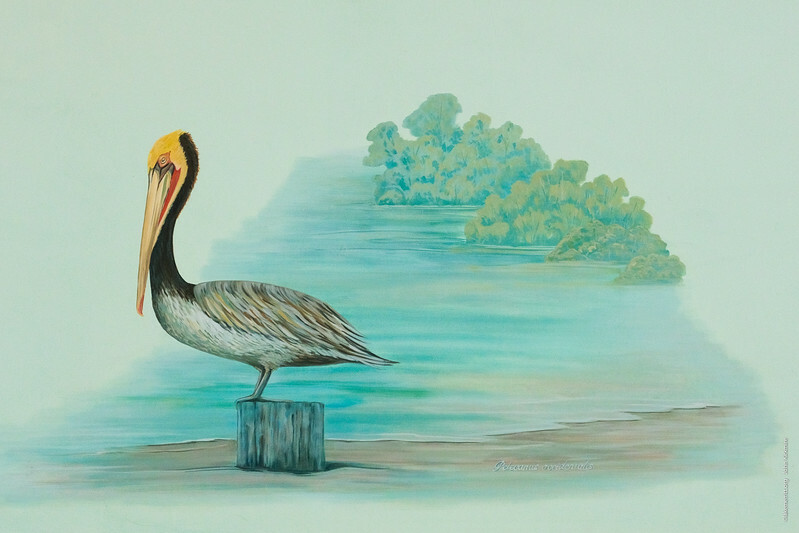 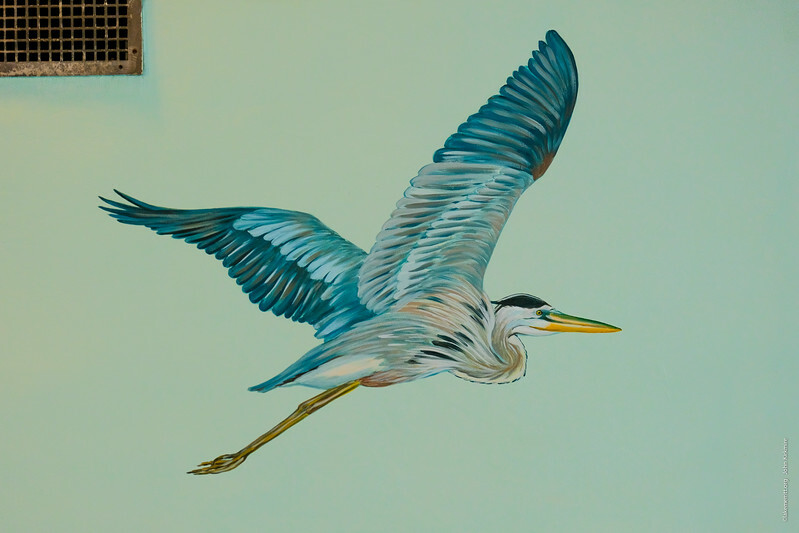 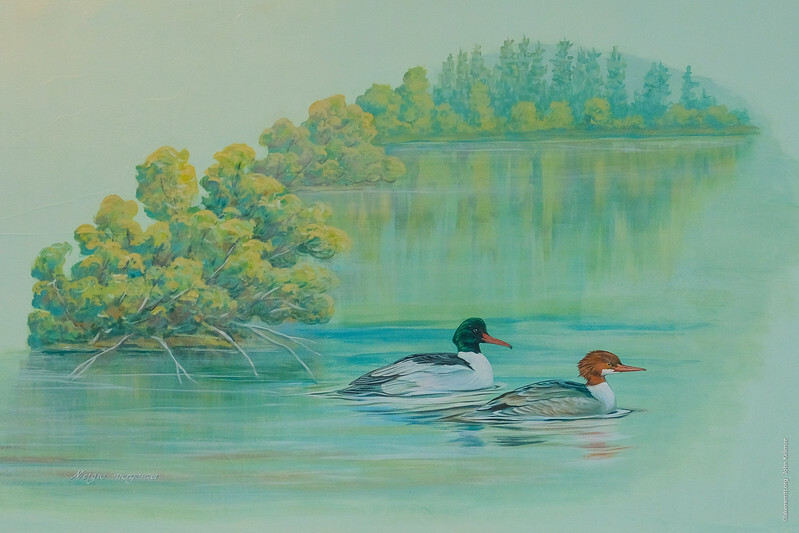 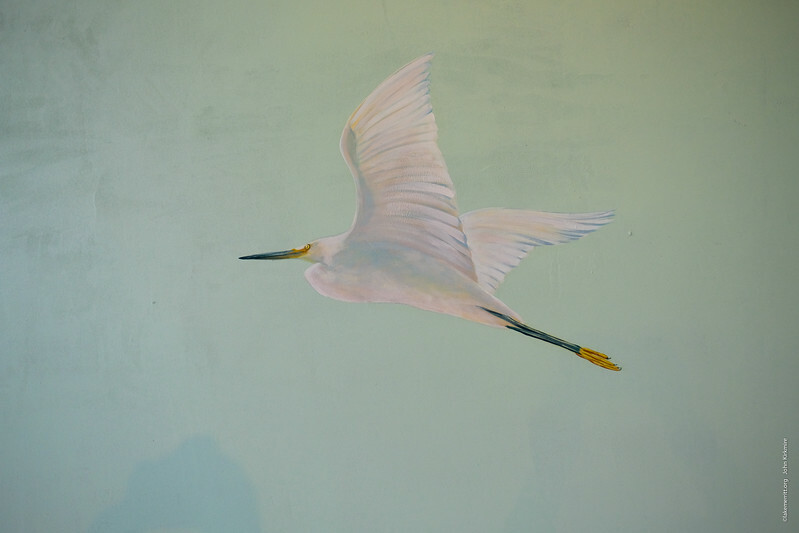 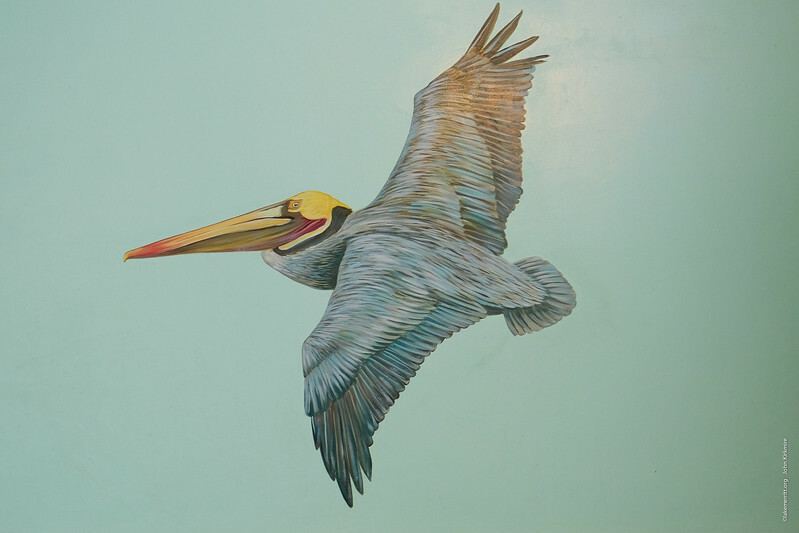 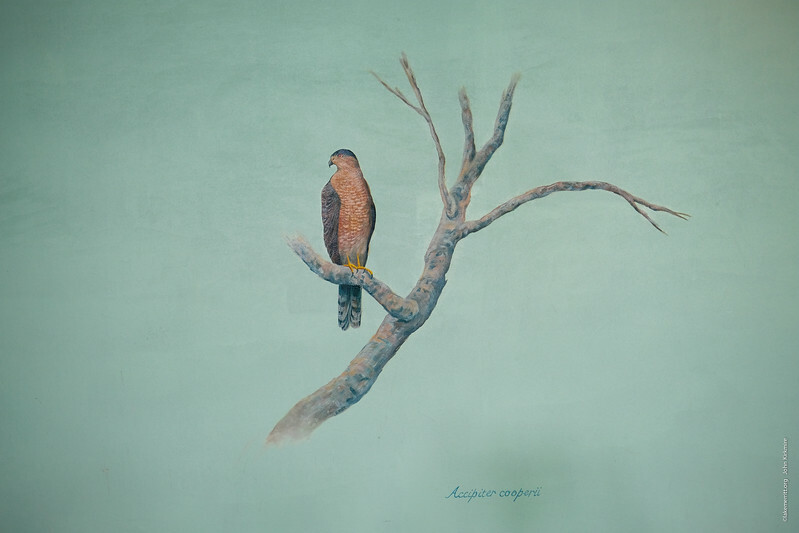 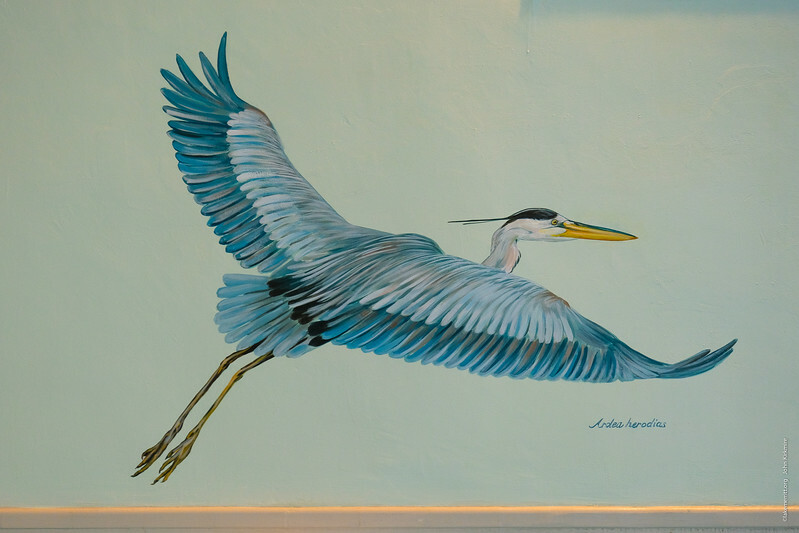 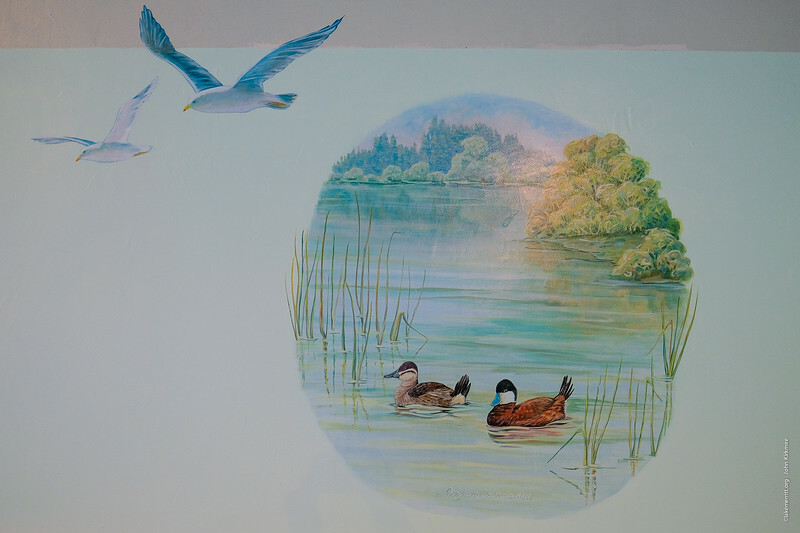 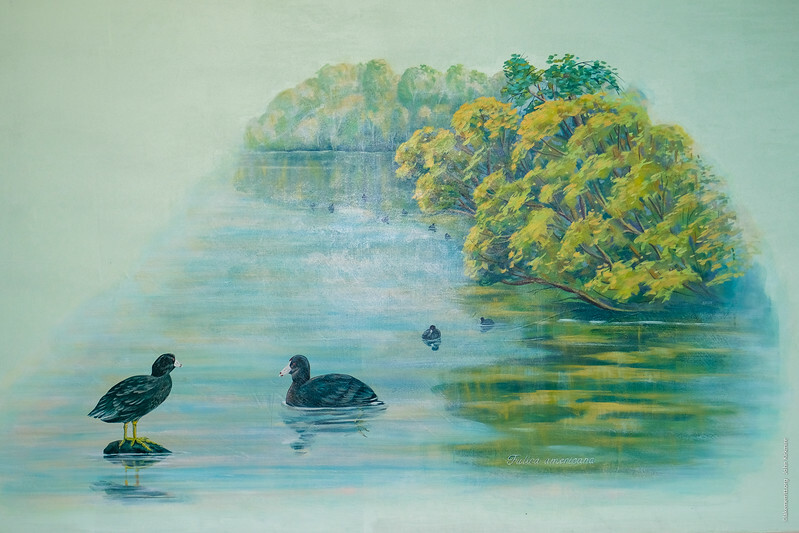 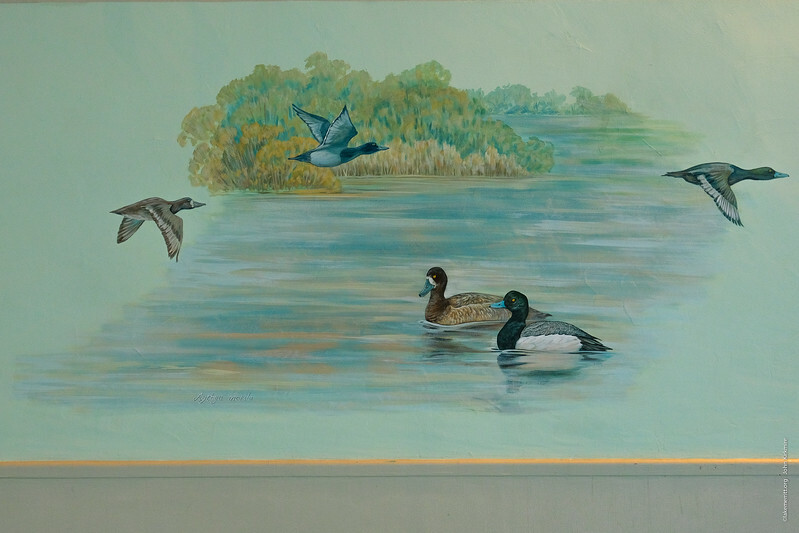 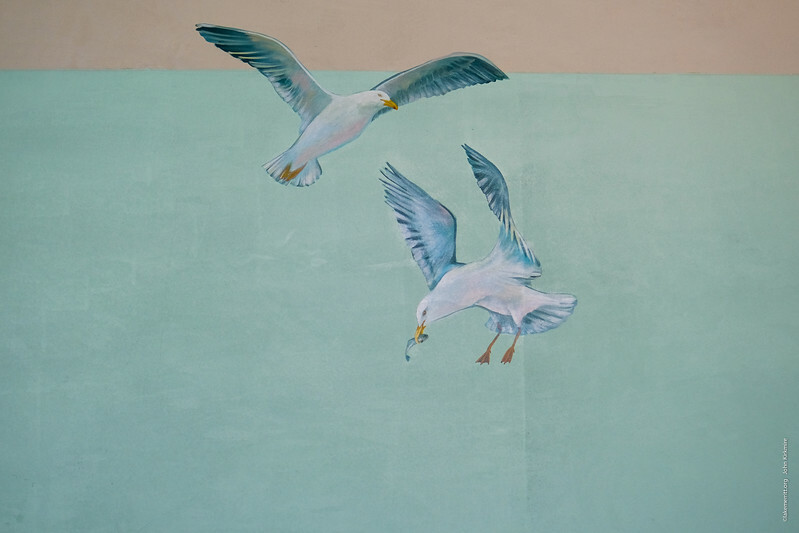 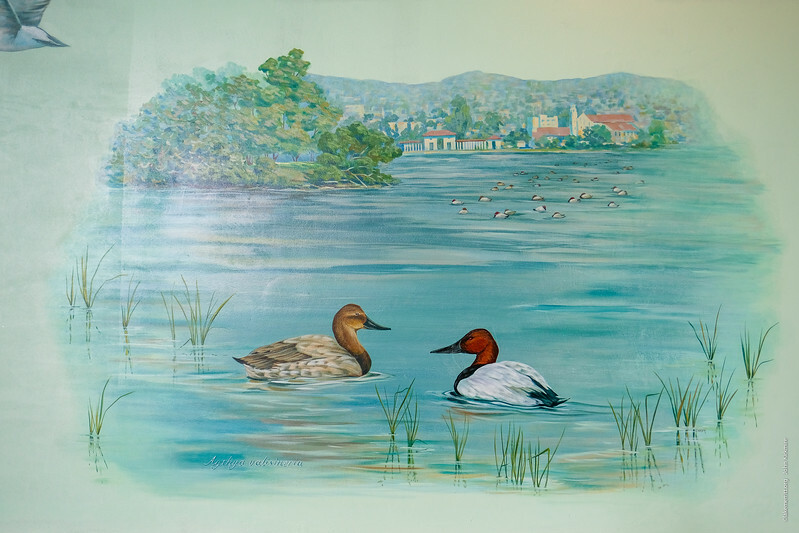 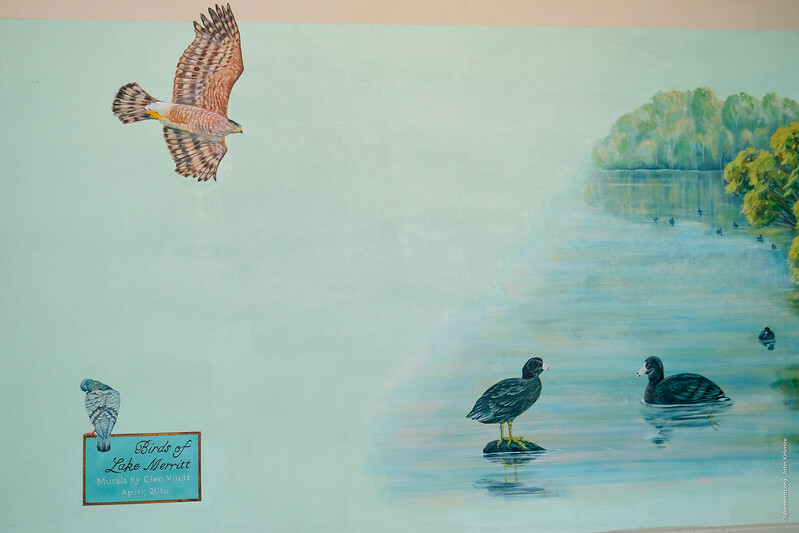 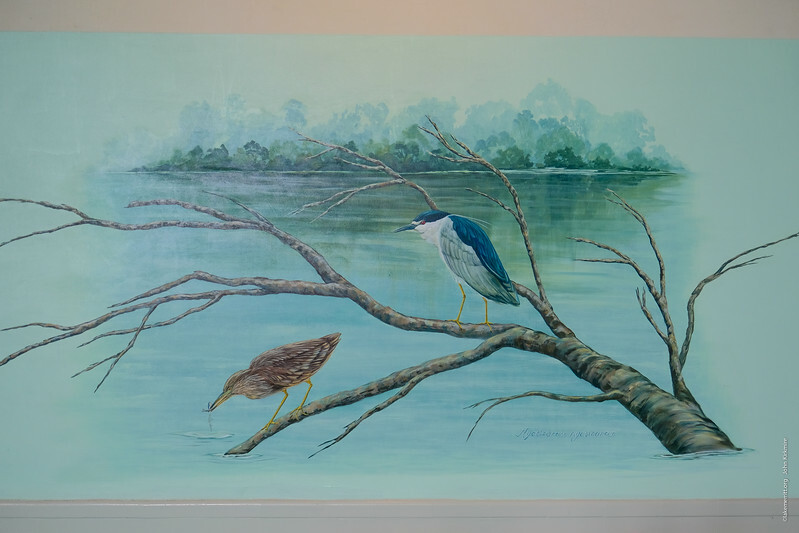 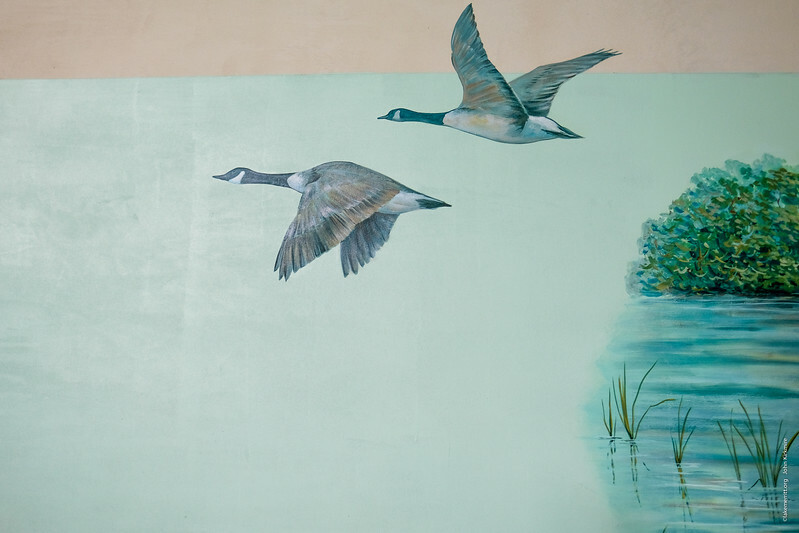 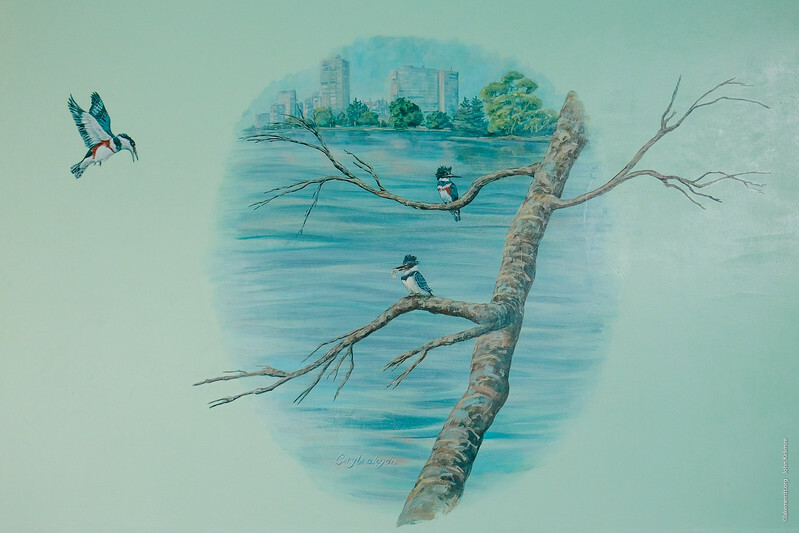 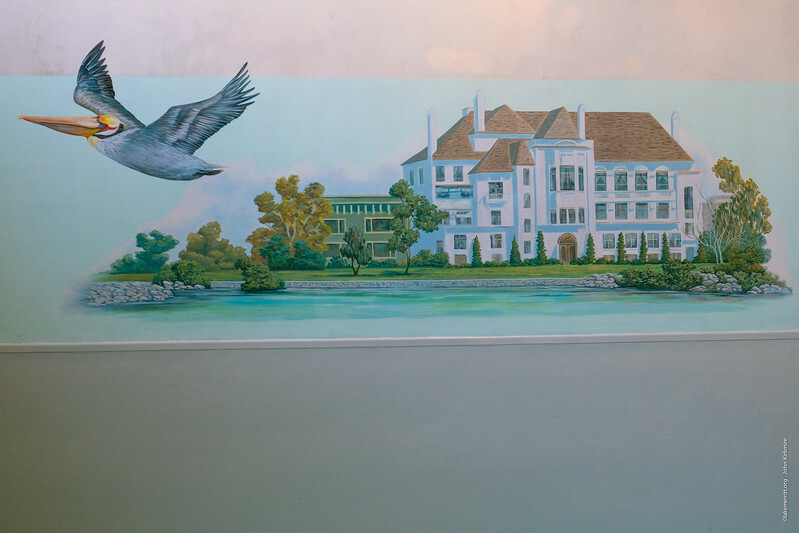 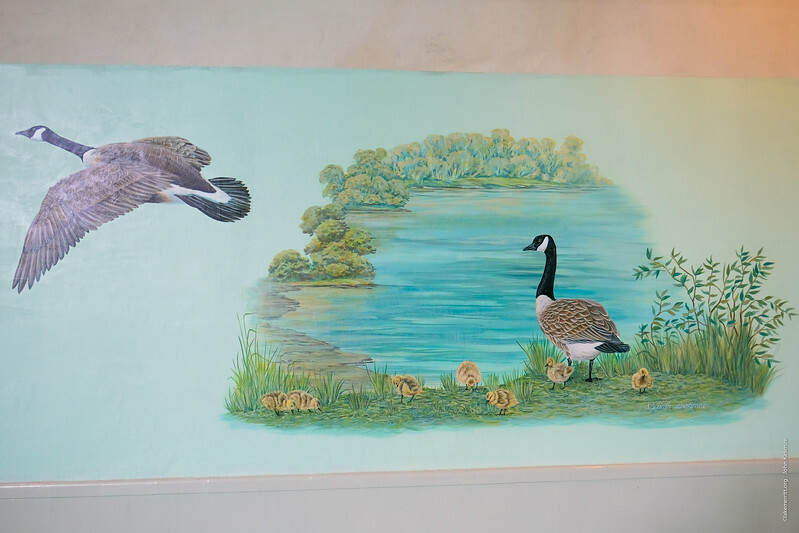 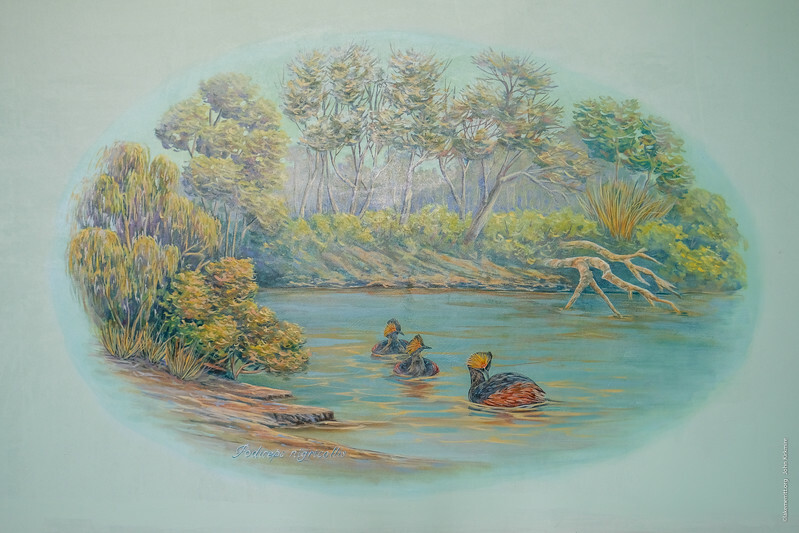 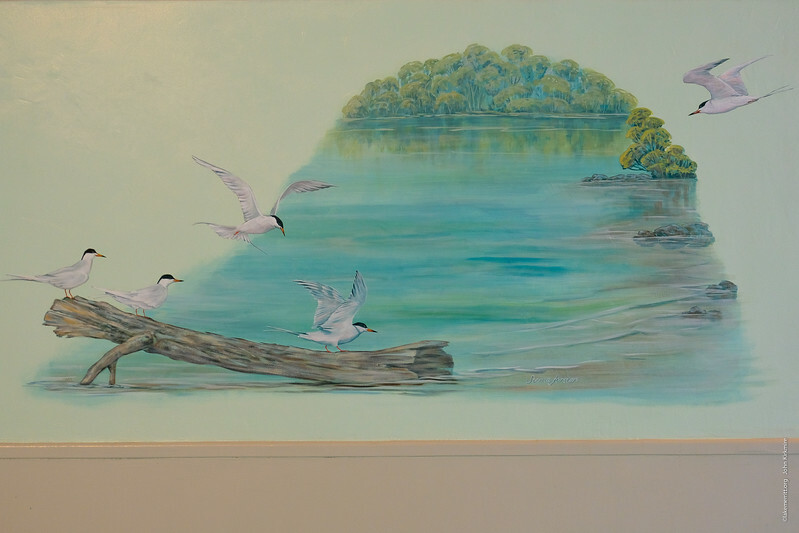 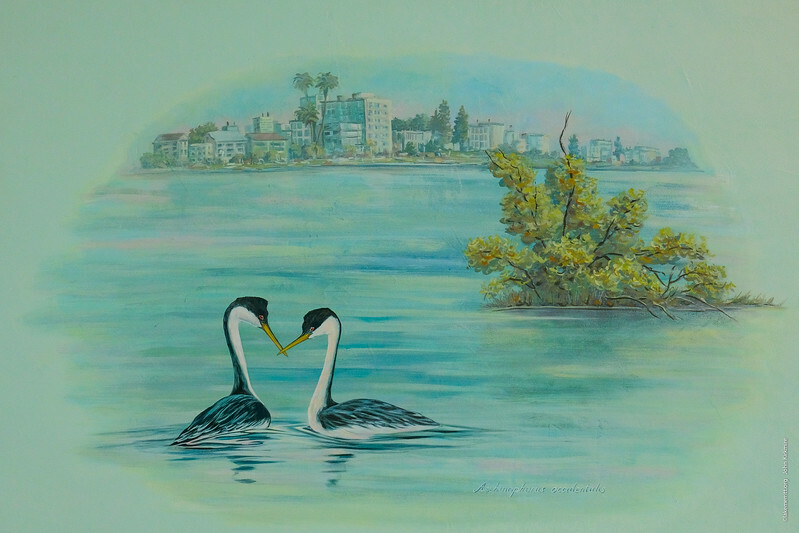 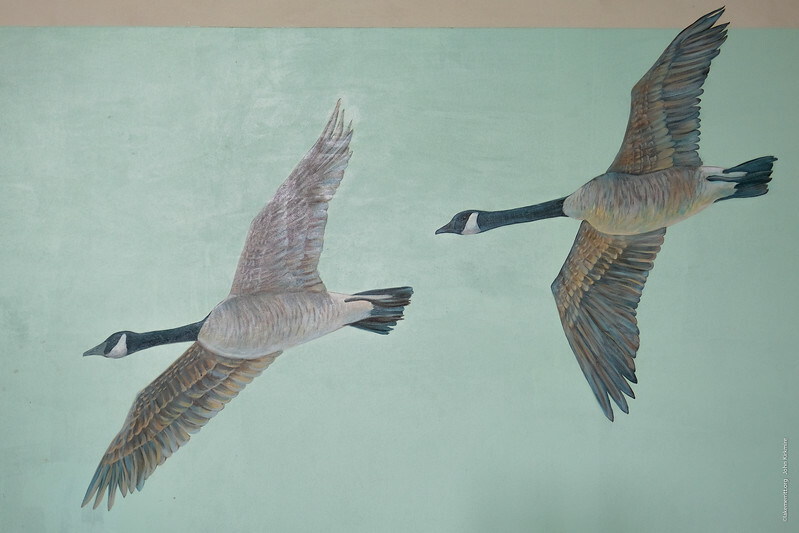 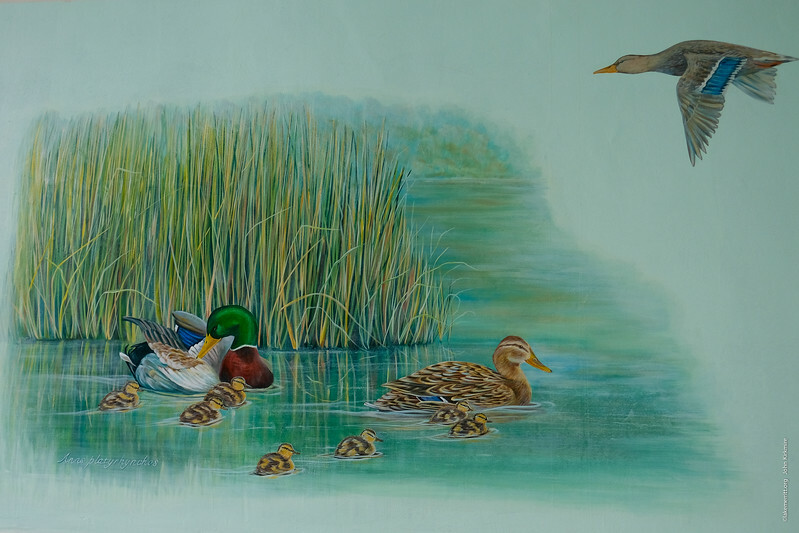 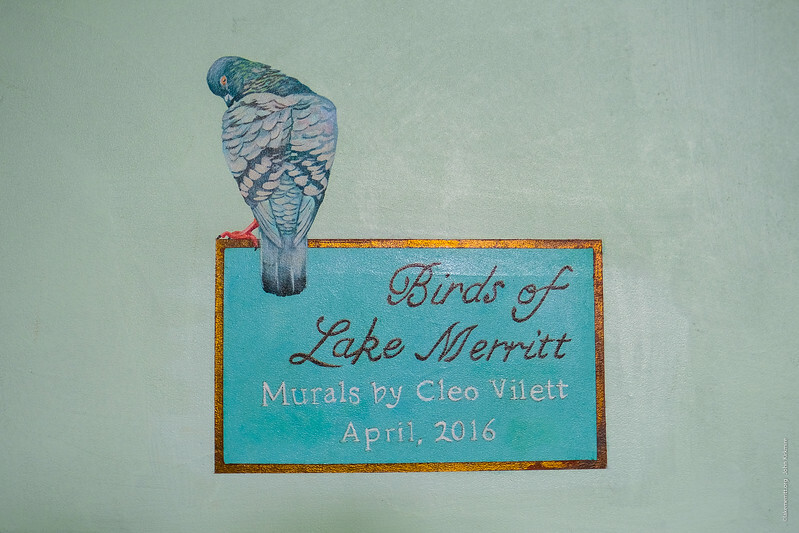 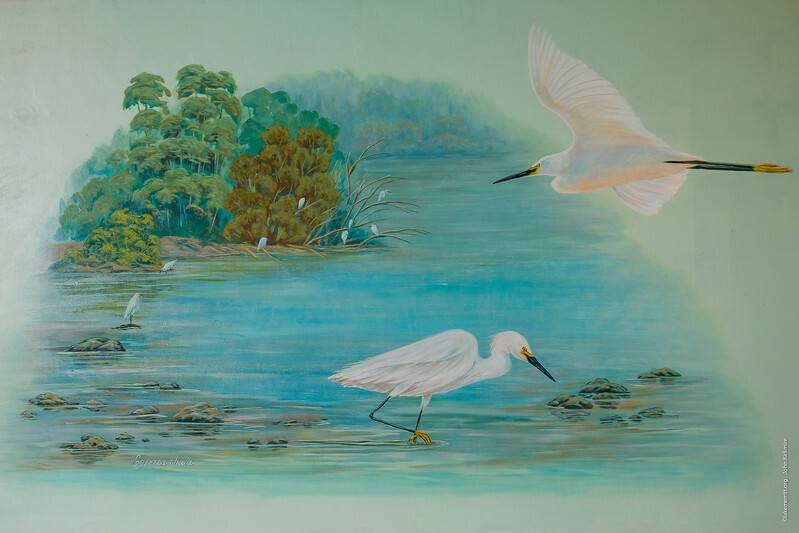 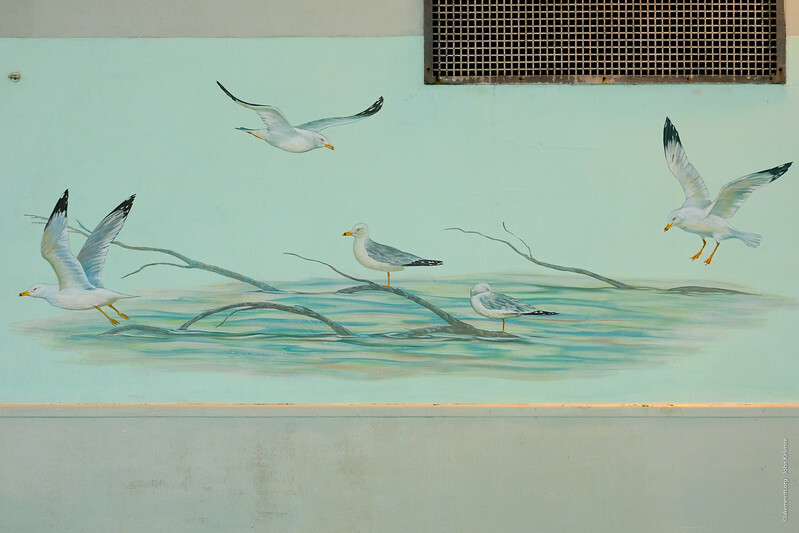 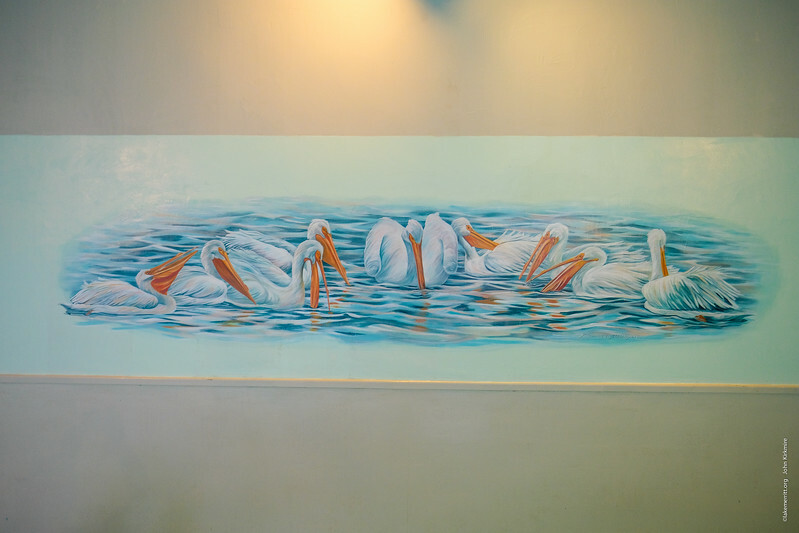 Lake Merritt Birds Mural by Cleo Vilett, April 2016. 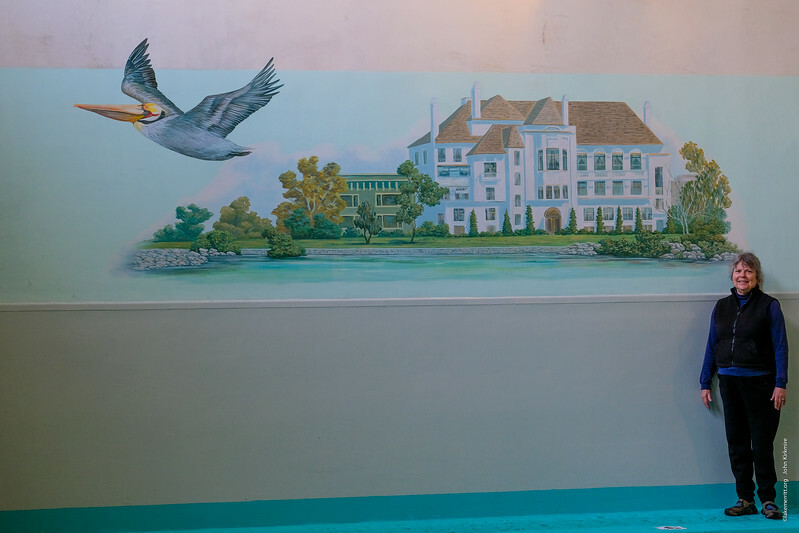 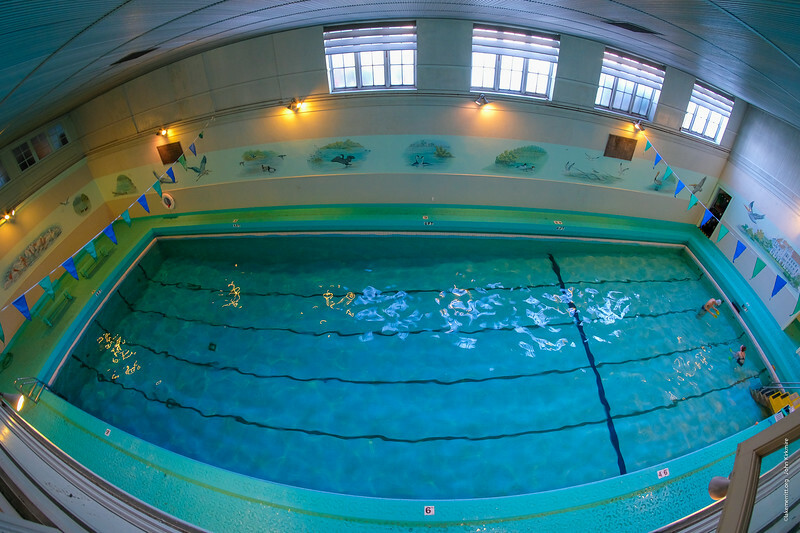 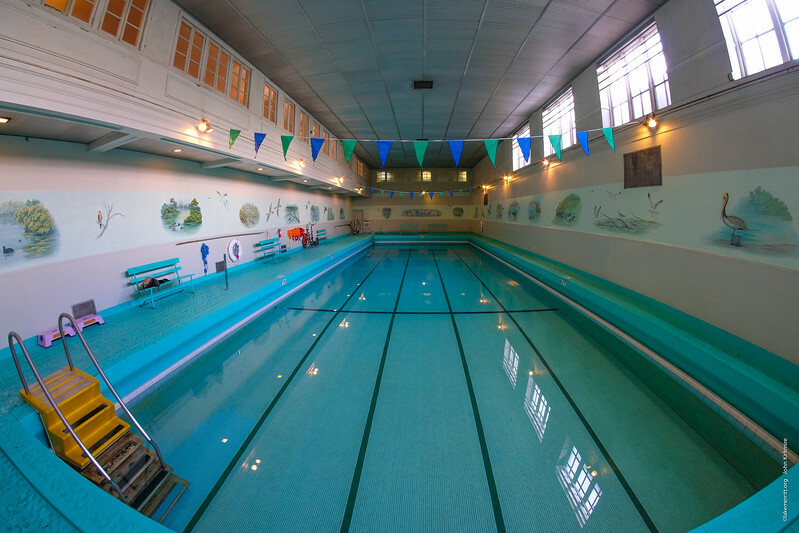 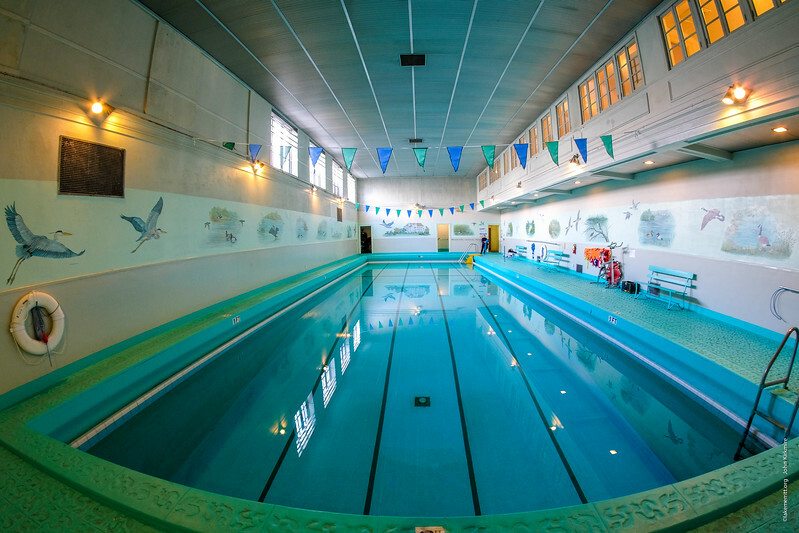 Poolside mural, photographed counterclockwise March 2, 2018. 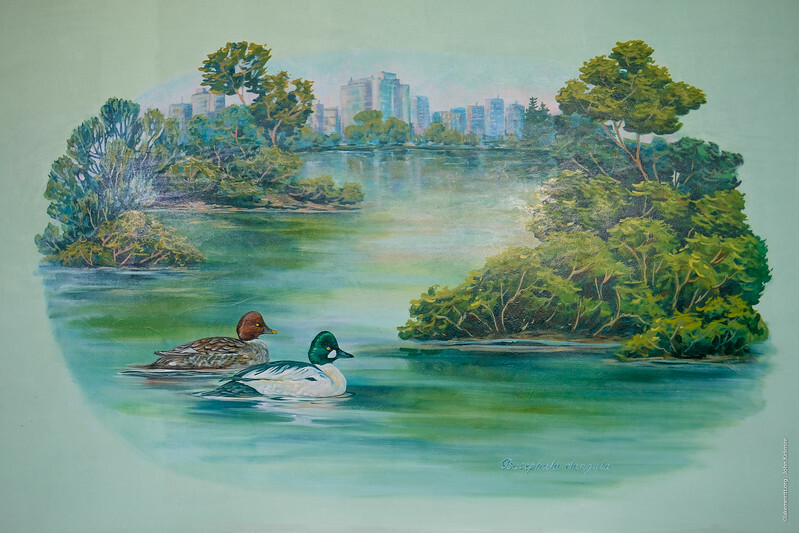 Carole Levenson, Bellevue Club President.